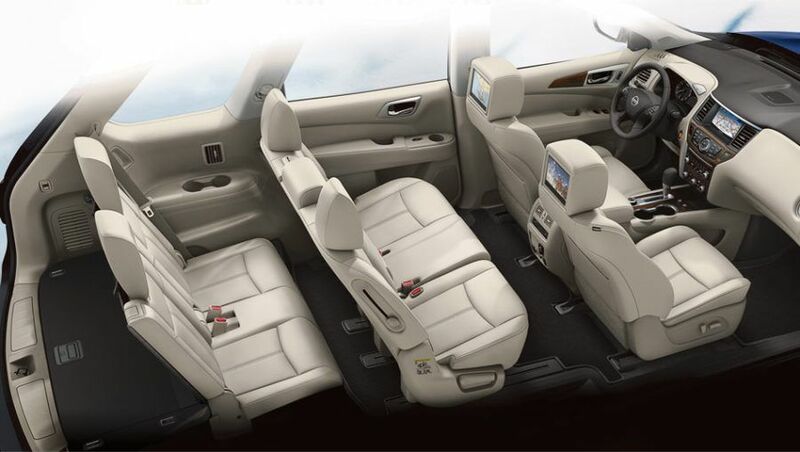 Midway Nissan | Blog | Midway Nissan Reviews the 2017 Pathfinder Platinum V6! Midway Nissan Reviews the 2017 Pathfinder Platinum V6! The 2017 Nissan Pathfinder Platinum V6 is a testament to Nissan’s power and luxury combined. 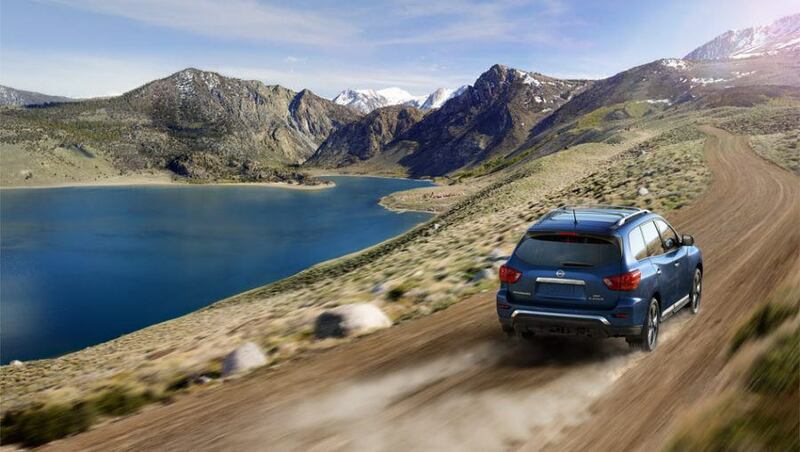 It is powered by a 3.5L 24-Valve V6 engine capable of generating 284 hp at 6400 rpm and 259 lb-ft of torque at 4800 rpm. Meeting emissions ratings of LEV3 ULEV70, the 2017 Pathfinder Platinum V6 has CVTCS, variable induction system, direct ignition, electronic drive-by-wire throttle system, hill start assist, hill descent assist, vented disc brakes on all wheels, anti-lock braking, electronic brake-force distribution and brake assist. Capable of delivering 9.2 L/100km on highways and 12.4 L/100km on city roads, Pathfinder Platinum V6 has independent strut suspension in the front and independent multi-link suspension in the rear, shock absorbers, stabilizer bars in the front and rear, speed sensitive and power assisted steering, auto headlights, fog lights, roof rails, heated and powered outside mirrors with tilt feature, panorama moon roof, ultraviolet reducing solar glass in the front and privacy glass in the rear. View our inventory. 2017 Nissan Pathfinder Platinum V6 has drive assist, a touch screen display powered by NissanConnect with voice recognition, traffic navigation, sonar system in the rear, moving object detector with monitor, keyless entry with push-button ignition, the liftgate is powered and motion activated as well as having position memory, the engine has a remote start feature, there’s tri-zone temperature control with automatic features and micro filter, hands-free phone facilitated by Bluetooth, universal garage door opener, powered doors and windows with auto locking and one touch up/down, cruise control with controls mounted on the steering wheel and auto dimming rearview mirror, speed sensitive variable intermittent front wipers and intermittent wipers on the rear window. 2017 Pathfinder Platinum V6 has a digital compass integrated to the navigation system, map lights in the front, reading lights in the rear, 4 x 12V power outlets, sun visors and illuminated vanity mirrors, adjustable driver’s seat with position memory including that of steering wheel, the front passenger seat is also power adjustable and all seats are leather upholstered. Pathfinder Platinum V6 has heated and cooled seats, Bose speakers, a special Tri-Zone Entertainment System that comes with monitors, wireless headphones and remote control, SiriusXM, CD playback, DVD playback, audio and video input jacks, USB port, audio streaming using Bluetooth, speed sensitive audio control and radio data system. 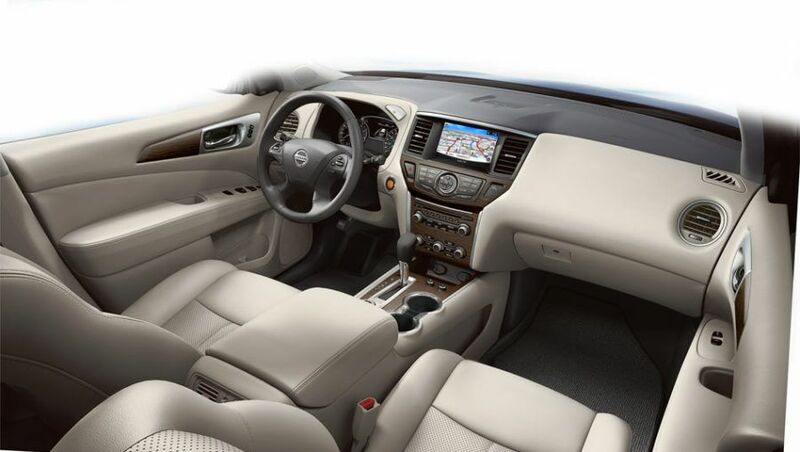 2017 Nissan Pathfinder Platinum V6 has advanced airbags with sensors detecting seat belt lock and occupation, side-impact supplemental airbags for driver and front passenger, supplemental airbags mounted in the roof for side impact and a host of active and other passive safety measures. 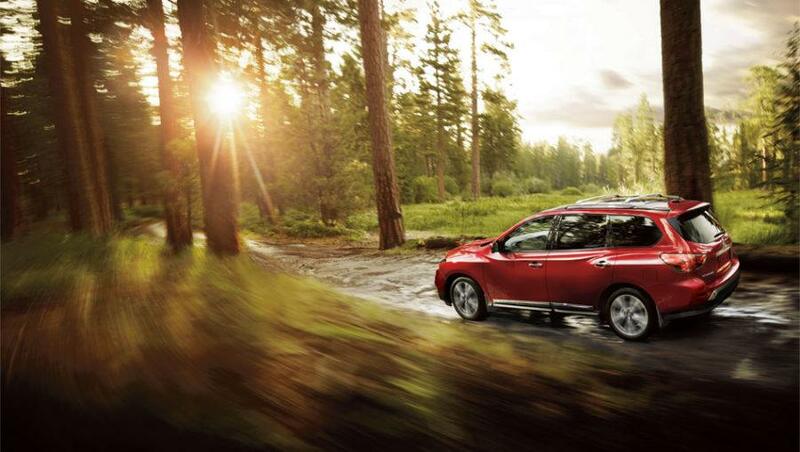 If you like luxury and adventure, then the Pathfinder Platinum V6 is worth more than a look! If you’re located in the Whitby or Oshawa area, then we invite you to book a test drive at Midway Nissan today!